We want to say a big THANK YOU to all our loyal female clients out there and what better way for us to show our appreciation for you than to make every Tuesday of the week, a special day just for you! Keep your hair game strong with Apgujeong Hair Studio! Enjoy 20% off all hair services when you present your student card. *Student discount is only valid weekdays before 4pm (excluding public holidays). Only cards from local institutions are accepted. Only valid for students 26 years and below. 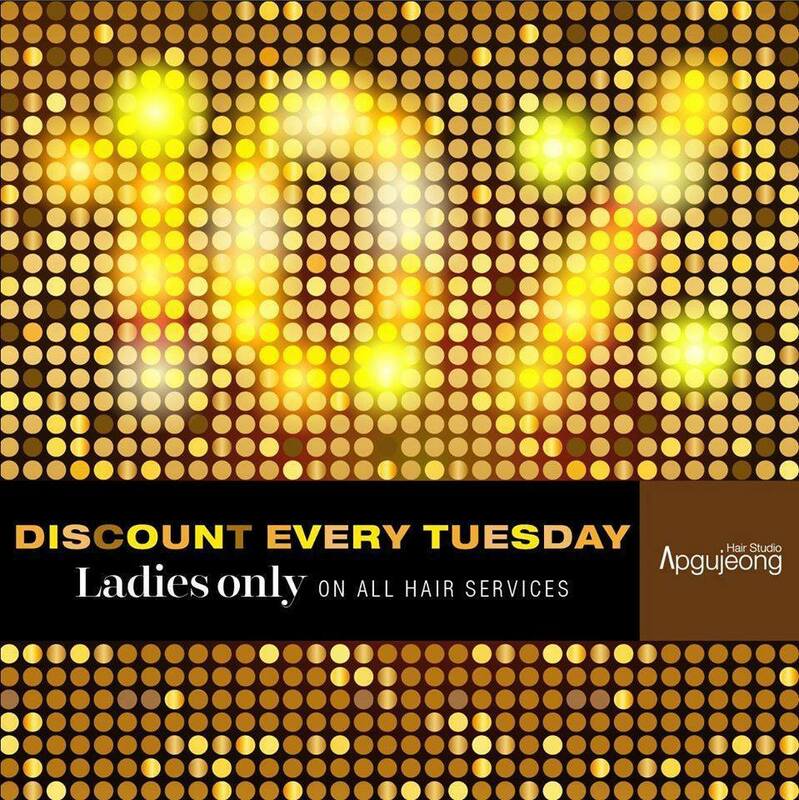 ​Please note the management of Apgujeong Hair Studio reserves the rights to change our the pricing as well as terms and conditions of all advertised promotional offers without prior notice. Ladies Day discount, students' discount, and discounts for Standard Chartered cardholders are not valid on Public Holidays.